There's a Chinese proverb that goes, "When the winds of change blow, some people build walls, others build windmills." In the business of healthcare, change is a ruthless beast. It seems everywhere we look some outside entity is demanding we confront new challenges. 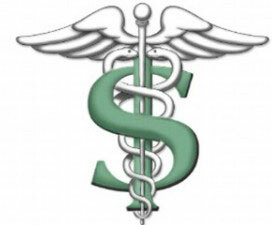 EHR, the effects of sequestration, SGR, ICD-10, and payor contracting, i.e. the fundamental changes in the way reimbursement is calculated, have profound implications for providers wanting to stay viable and competitive. I attend several revenue cycle management type conferences every year, so I get a front seat at the portrayal of organized healthcare chaos delivered from the podium by industry prognosticators. Along with ICD-10 implementation, the big topic this year is the transition from Payment for CPTs (volume) to Payment for Value. I was mentioning all of this to a radiologist recently when he threw up his hands in bewilderment and asked, "Does anybody even know what payment for value means?" I don't think my rad friend is alone. While most providers would insist (and we agree) they are already providing value in their services, let me offer a broad outline of the general idea, what the Institute for Healthcare Improvement describes as the "Triple Aim" of improving the patient experience of care, improving the health of populations, and reducing the per capita cost of health care. These Triple Aim elements are the primary drivers in the shift from pay for volume to pay for value. Surveys indicate there is a perceived lack of value delivered for dollars spent, and a seeming lack of accountability for results. Government and private payors are looking to save money, and increasingly informed and savvy consumers are more educated than ever about how their medical costs are covered. David L. Smith, FACMPE of radexec.com points out that until now, reimbursement was based on a fixed fee schedule with each procedure (CPT) treated as a commodity. Variations in payment reflect the relative negotiating leverage of the parties involved, i.e. the provider, the patient, and the third-party payor. Under this model, the goal of providers is to maximize procedure volume and capital equipment utilization, while minimizing operating costs, while remaining competitive. The new, value-based reimbursement model is a little harder to define. For starters, there is not necessarily a direct relationship between collections and exam volume. Rather, "Quality Measurements" may replace exam volume as the determiner of reimbursement. Perhaps most concerning is the fact that patients, third-party payors, business partners and other yet-to-be-defined players will define value, with individual providers having very little meaningful input. Finally, price transparency will be a hallmark of the new paradigm. Currently, not all providers are paid the same. In the value-based model, the same will be true; however factors other than negotiating leverage will determine reimbursement. Expect the focus to change from transaction/encounter to episode of care and ongoing management of chronic illness and wellness. As accountability for results becomes a central component, risk will shift from payor to provider. In Part II we will look at some of the value based reimbursement models taking shape.